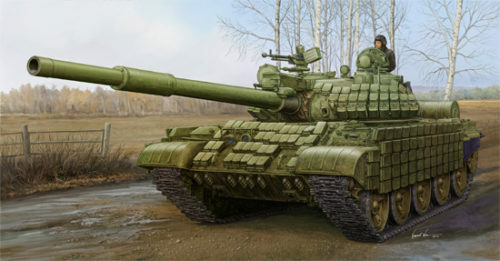 The Russian T-62 Main Battle Tank was originally intended as a companion weapon to the T-55 battle Tank. 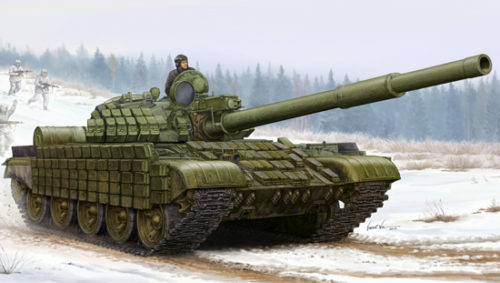 The Russian T-62 is basically an up gunned version, with the 2A20 115mm Main gun, of its previous predecessor the T-55 Tank. 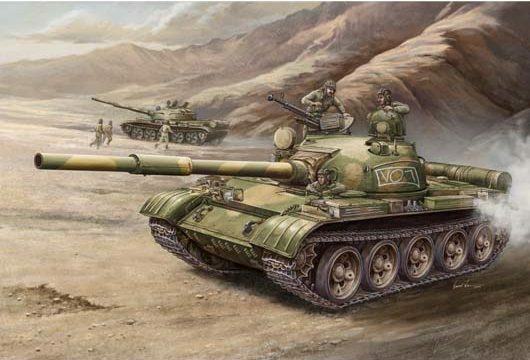 Both the T-55 and the T-62 used the same road wheels, tracks, engine, transmission, hatches and shared many parts in common. 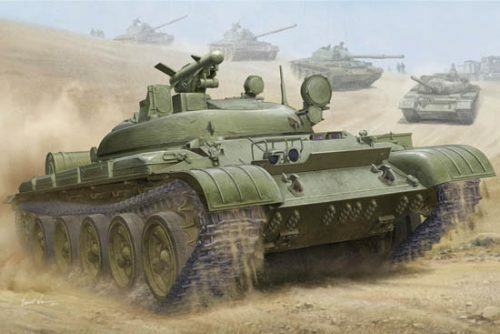 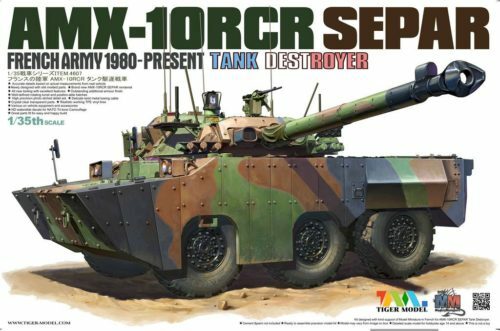 The primary exterior difference between the two vehicles was the T-62’s lengthened hull and new turret design. 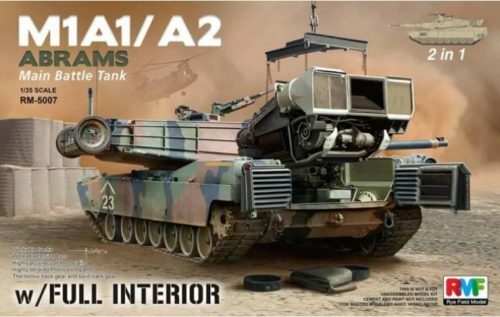 The new up gunned main barrel can penetrate approximately 300mm of armor at a range of 1000 meters. 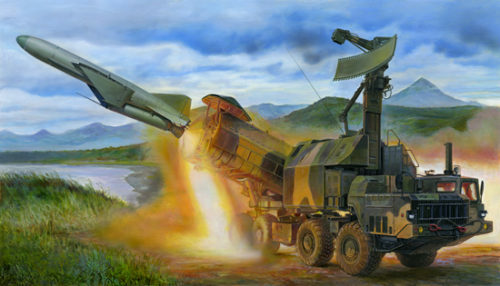 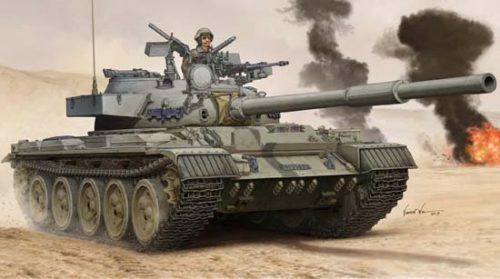 This firepower was adequate to deal with the then perceived threat from NATO tanks as the American M-48 and later models of the British Centurion. 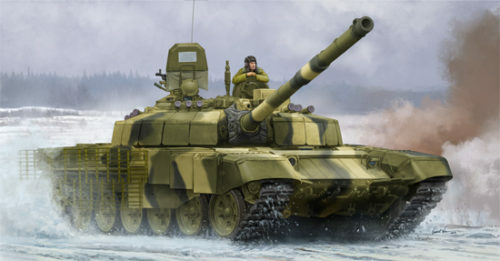 The T-62 was designed to add long range firing capabilities to Soviet tank regiments being placed alongside T-55s tanks, only to serve much as T-55 in combat. 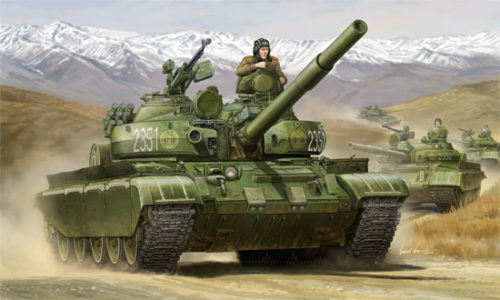 Despite being introduced in 1960, combined with the improved performance of its much advanced T-72 successor, the Russian T-62 main battle tank still sees service today in many of the world’s armies, with the Middle East armies being the largest operators outside the Warsaw Pact countries. 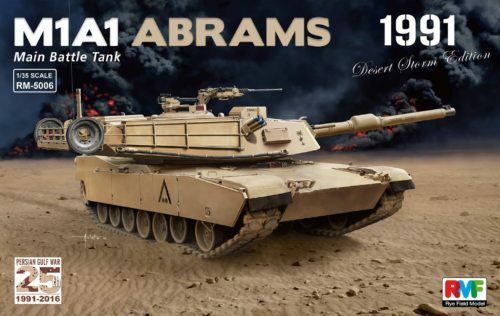 Egypt, Iraq, and Syria have been the most notable users of the Russian T-62 main battle tank, with Israel also capturing a number of T-62s during conflicts, to be later built into the Tiran IDF tanks.